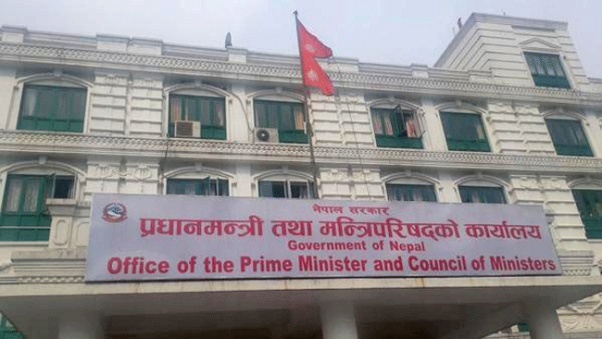 KATHMANDU, Nov 13: The government's move to withhold information about the decisions of cabinet meetings has drawn widespread criticism. While the media fraternity has taken serious exception to the government's move which affects their day to day work, information rights activists have termed it a deliberate bid to stifle the free flow of information. Journalists and others have vented their ire against the government decision through various social media platforms. Beginning with Sunday's cabinet meeting, the government initiated a practice of not releasing information on cabinet meetings “immediately” as in the past and releasing it in what information rights experts describe as a “controlled manner” at the end of each week. Earlier, a government spokesperson used to brief media about the cabinet decisions immediately after a cabinet meeting. Defending the decision, the prime minister's press advisor Kundan Aryal said it is not aimed at controlling the free flow of information. “Government is not against free flow of information and transparency. Rather it is an attempt to manage and disseminate information in a better way,” he said. Aryal also said that the government plans to hold a press conference on a weekly basis to publicize such decisions and journalists will have the opportunity to interact with ministers to get further details about their decisions. However, the media fraternity has taken strong exception to the decision which comes at a time of keen competition to disseminate information real time . “There is no rationale for ending a practice that goes back three decades . It clearly shows that the government is maneuvering to stifle the free flow of information,” said Taranath Dahal, an expert on right to information. Issuing a press statement, Freedom Forum, a body which has been fighting for right to information, said it is alarmed by the government's move not to disclose the decisions of cabinet meetings. “It directly affects the constitutionally guaranteed right to information and communications,” it said. The move targets civil rights, political freedom, transparency and accountability—the bulwarks against corruption and bad governance, Freedom Forum added.